Energy is arguably one of the major challenges the world faces today. For those living in extreme poverty, the lack of access to modern energy services dramatically affects health, limits opportunities and widens the gap between the Haves and Have-Nots. In Africa, the lack of affordable and reliable energy impedes economies to develop by shortening business operating hours, making business production uncertain and discouraging investment. The poorest people pay a high price in health, labor, time and cash for the energy they use. Access to energy and affordable energy in Africa is a necessary precondition to achieve development goals that extend far beyond the energy sector: it provides the basis for the development of modern forms of healthcare, education, transport, production and communication. 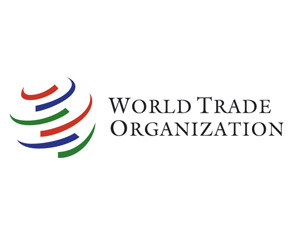 Energy is back on the agenda of governments, international organizations and the development scene in Africa. 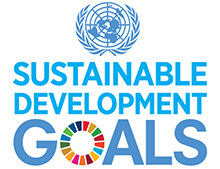 2012 was declared International Year of Sustainable Energy for All by the United Nations. The UN Secretary-General Ban Ki-moon launched the “Sustainable Energy 4 All” (SE4All) initiative, urging all stakeholders to take concrete action toward three critical objectives: (1) ensuring universal access to modern energy services; (2) doubling the share of renewable energy in the global energy mix and (3) doubling the global rate of improvement in energy efficiency. The global target date for achieving the SE4All targets is 2030 but this will not become a reality without massive increases in the quantity and quality of energy services. Africa is the continent with the highest priority on energy development: in 2012 nearly half of the countries in Africa face energy crisis. Even though the African continent is well endowed with renewable energy resources (hydropower and geothermal especially), most remain untapped. However, changes in precipitation can result in loss or variability in hydro-electricity potential, variations in runoff and impacts on biomass production. Therefore, access to energy in Africa also includes developing conventional energy such as gas and diesel, to provide for instance stability to grids, because of the changing climate conditions of Africa and dwelling resources. There is no (or less) renewable power to provide when there is no (or less) water, sun or wind. Africa is a key priority for many of the 15 European bilateral development finance institutions (EDFIs): in 2011, €689 million have been invested in 61 projects in Africa. To benefit from additional financial leverage and risk sharing, EDFI has also created two joint financing initiatives with the European Investment Bank (EIB): European Financing Partners (EFP) especially designed for Africa, the Caribbean and Pacific countries and the Interact Climate Change Facility (ICCF), which also includes the Agence Française de Développement and is especially designed for projects focused on clean energy or energy efficiency. EFP and ICCF’s unique decision model is effective, efficient and serves as the foremost example of the strong partnerships, which European institutional investors are increasingly forging, in order to play a leading role in sustainable private sector development in Africa and in the energy sector. For every project, the EDFIs have upheld the highest standards on environmental and social issues, and in corporate governance in Africa. The European Development Finance Institutions (EDFI) and its joint financing initiative in ACP countries: European Financing Partners and in energy efficiency: Interact Climate Change Facility. EDFI seeks to support economically, environmentally, and socially responsible development by fostering the growth of the private sector in developing countries, and do so by providing capital for long-term investments. EDFI member institutions often join forces to finance larger projects, which will serve their clients, while achieving higher development impact. Approximately €375 million has been approved for 26 projects under the EFP through 2011, 20% of which has been committed to power or energy projects. On the individual projects, this funding is complemented by additional financing coming directly from individual EDFIs. With the success of EFP, EDFI decided to create the same type of co-investment facility focused on energy efficiency and climate change projects. Interact Climate Change Facility was created in February 2011. 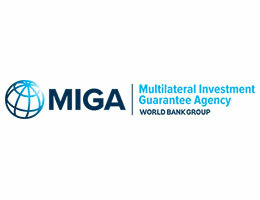 Why invest in joint instruments when bilateral development finance institutions can do it individually? Firstly, EFP and ICCF financing supplements the total financing raised, which enables EDFIs to invest in larger projects. This is important because many energy infrastructure projects require economies of scale to be bankable and because long term funding is scarce, especially in Africa, where the country risks are often considered too high for commercial banks to provide funding. 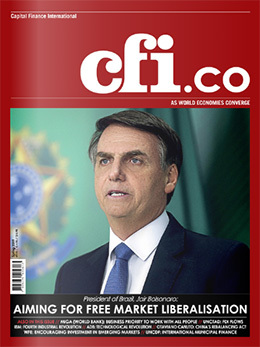 Secondly, EFP and ICCF financing enables broader participation by a range of DFIs with minimal additional costs and without the requirement for their significant dedication of administrative resources, as the execution and subsequent monitoring of the project is undertaken by one of the EDFIs on behalf of the group of DFIs. 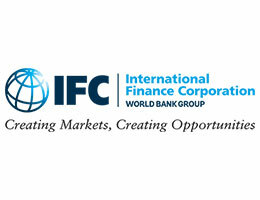 EFP and ICCF enhance very much the efficiency of the transaction. What are the Impacts for Energy Investments in Africa? On the African continent, according to ARE (Alliance for Rural Electrification), the overall amount of people without access to electricity has reached 589 million in 2008. The number of people that have no access to electricity has increased by 9 million people annually. Access to sustainable sources of reliable and affordable energy has a profound impact on multiple aspects of human development; it relates not only to physical infrastructure (e.g. electricity grids), but also to energy affordability, reliability and commercial viability. Most firms are less concerned with the price of power than with the quality and reliability of supply. So, how to invest and in which country? EDFI and its joint financing instruments EFP and ICCF focus on energy investments with the highest impact potential in target countries with binding constraints. Two example countries with these characteristics are Kenya and Zambia. Energy supply in Kenya is a constraint on growth: Kenya has required emergency power generation every year since at least 2005. 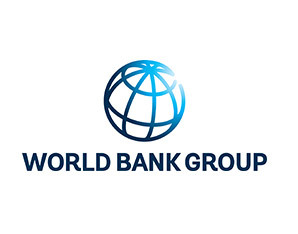 A 2009 World Bank study suggests significantly improving electricity generation capacity could increase Kenya’s annual GDP growth rate by 1.7 percentage points. In contrast to Kenya, Zambia is not yet supply constrained, though it still has a growing need for investment. In particular, the country has tremendous potential to grow its energy production, especially hydro, with the aim of exporting power to other countries. Zambia is rich in lakes and rivers, and has a potential hydro capacity of 6,000 MW. Olkaria III (Kenya): First geothermal independent power producer (IPP).Expansion of the capacity to 48 MW from 13MW. Olkaria III is the only IPP geothermal plant in Kenya and possibly the most efficient plant of any kind in the country. Since the expansion of the plant, Olkaria III has always averaged over 96% availability, and has been dispatched at an average of 92%. Rabai Power(Kenya): Thermal independent power producer (IPP).The plant became operational just as the country was experiencing nationwide power rationing due to poor hydrology. Rabai is the most efficient thermal plant in Kenya, but is not currently operating at full capacity because of transmission line bottleneck. Copperbelt energy –CEC-(Zambia): Transmission CompanyCEC transmits power to all the mines in Zambia’s Copperbelt region. Mines consume about 60% of Zambia’s power. The acquisition finance was complemented by a guarantee on a capital expenditure loan for upgrades to CEC’s network and expansion of its operations. This expansion has included the exploration of new business activities such as power generation. Why did the European Finance Partners invest? The electricity generated by the Kenya IPP projects reduced the supply shortage and now generates national cost savings of USD 20 million and USD 59 million in 2011 for Rabai and Olkaria III respectively. Kenya IPP environment has been cited as the most advanced sub-Saharan African country, having progressed farther on energy reform programs than most other countries on the continent. Linked to the acquisition was CEC’s subsequent listing on the Lusaka Stock Exchange. The three projects assessed, illustrate the potential multiplied impact of energy infrastructure investments, especially in constrained environments. For the Kenya IPP projects, new electricity generation should help support hundreds of thousands of jobs additional to the number of jobs created in the plant. Furthermore the projects will lead to national cost savings in the tens or even hundreds of millions of dollars. For example, Olkaria III has allowed economic benefits from lower costs and higher reliability: the plant added 3.5% in national capacity; is currently supplying 6% of Kenya’s energy consumption; and helped reduce load shedding in the country while keeping the environmental impacts especially small. In Zambia, CEC’s transmission infrastructure was already in place, but its maintenance and expansion is important to growth of Zambia’s most important export sector, mining, and the government’s plans to double the contribution of mining to GDP by 2015. The Rabai project may never have been completed without DFI finance due to the high political risk in the country at that time, whereas for CEC, the acquisition arrangements would likely have been sub-optimal without DFI finance. Through the EFP cooperation and financing arrangement, the three financially sustainable energy projects are making important contributions to development outcomes in two energy-constrained countries in sub-Saharan Africa. Energy infrastructure projects can provide very high development returns on investment, due to the potential for high multiplier effects, and there is a clear role for EDFI financing in the private sector. EDFI members are bilateral institutions funded by government resources. The EDFI members provide their financing to projects on commercial terms. An overall criterion for the decision to participate in the financing of a project is that the EDFIs are additional to commercial funding available in the market. In general, the EDFIs will engage with the commercial institutions willing to participate in the funding and, if sufficient resources are available from these, EDFIs will refrain from participation. However, the capital markets of most African countries are simply not able to provide adequate long-term financing for infrastructure projects. EDFIs have very strict environmental and social requirements for projects they finance in order to ensure that the highest standards are applied for the benefit of the host country and its citizens. EDFI financed projects are committed to mitigating any negative effects of their operations and improving the community in which they find themselves. EDFIs are in most investments actively involved in the establishment of environmental and social management systems as well as providing training to the staff of the investee company. The EDFI institutions will continue to finance energy projects such as Rabai, Copperbelt and Olkaria. But Africa needs much more than that. The country has extraordinary energy resources but most remain untapped. In the 90 percent of rural sub-Saharan Africa that depends on traditional biomass energy for energy supplies, even modest improvements in access to modern energy services can have a big impact. The major question is: how can access to modern energy services be improved on the huge scale needed to attain the UN goal of sustainable energy for all by 2030? More institutions financing infrastructure projects and prioritizing energy access as a key driver of social and economic development is undoubtedly the first step towards achieving universal energy access. 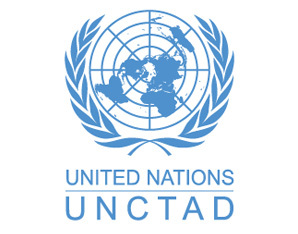 The governments and public sectors also need to be onboard as the private sector will not step in to finance energy access for the poor without governmental policies and regulations to remove barriers, such as prohibitive tariffs, weak off takers or weak structural frameworks. 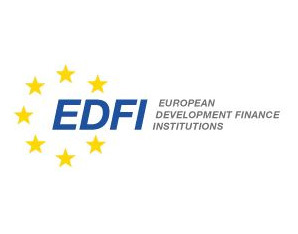 EDFI, the Association of European Development Finance Institutions, is a group of fifteen bilateral European development finance institutions, whose members provide long term finance for private sector enterprises in developing and emerging economies. The main objectives of EDFI, which was founded in Brussels in 1992, are to foster cooperation among its members and to strengthen links between these and EU institutions. At the end of 2011, the total investment portfolio of EDFI members was €23.7 billion in 4 421 projects. EDFI Joint Evaluation on EFP Energy Infrastructure Projects, Dalberg Global Development Advisors, March 2012. Summary available on the EDFI website.